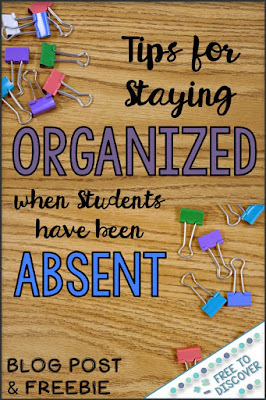 Student absences occur on a regular basis throughout the school year, but it can be so difficult to keep those students (and ourselves!) organized and caught up. Here are some tips to consider when establishing your own routines for handling absences in the classroom. In my course expectations at the beginning of the year, I include a blurb that outlines my policy in the event of absences. No matter what you decide to set as an expectation, make it clear and stick to it throughout the year as best as you can. Personally, I use the phrase “mutually agreed upon date” when describing the timeline in which makeup work needs to get done. The length of time depends on the number of days of the absence, the type of work that needs to be made up, and what the student and I believe they can handle. I like to differentiate in this way, rather than set a standard time limit. Since the date is agreed upon on the day they return, students know exactly when they need to be caught up by. I also include a statement that reads, “students may need to stay after school to get caught up on missed content.” My eighth graders tend to have the expectation that – even if they’ve been out for a few days – they can make up everything they need to at home and in school. Although this may be the case for some students, the majority of my students would need to stay after school for instruction on the missed topics if they had been out for three or more days. Setting the expectations early and including this statement in my course expectations eliminates the element of surprise when students are asked to stay after school for missed work. As teachers, we are B. U. S. Y. Even in my sixth year, the length of my to-do list still shocks me every fall. And especially within the class period, how can teachers be expected to keep track of missed assignments for those students who are absent on top of everything else we are trying to remember? I found myself staying after school late every day, checking my class lists to remind myself who was out and make note of what they needed to make up. It was time-consuming and I felt disorganized. Then I decided to enlist the help of my students. I create the “While You Were Out…” bulletin board and absent slips. My absent slips are available for free in my store. My students sit in pairs the majority of the time in my classroom. If someone’s partner is out, I ask them to fill out an absent slip, collect any handouts received in class, and pin the papers to the bulletin board. 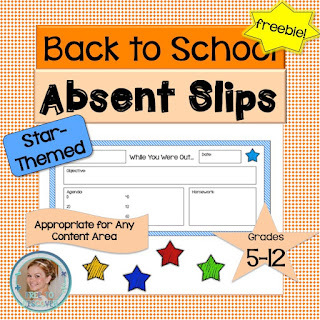 The absent slip summarizes the objective, agenda, and homework for the day so students know exactly what they missed and what they need to make up. Upon their return to school, students then need to retrieve the papers from the bulletin board and check in with me only to determine a timeline for completion. 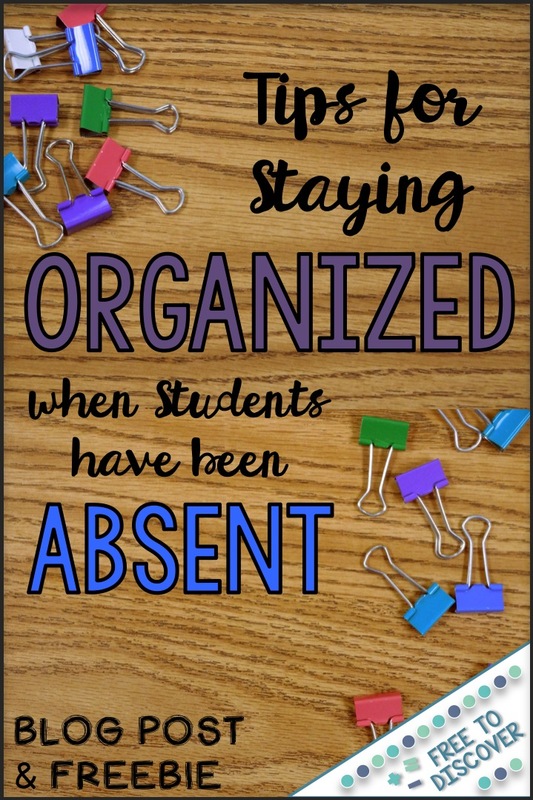 This process keeps students who have been absent organized and has been a big time-saver for me. Just as valuable as keeping students organized is keeping yourself organized. Take time to develop a system for tracking assignments and/or homework. I keep a checklist on a clipboard and walk around with it as I check homework. If students are absent, I write “A” in the box that corresponds with their name and that day. If students miss an assignment, I write “0.” “½” is for some homework completed and I check off all other students who have the assignment done. An “A” needs to eventually get a check next to it. This must occur within the time period we predetermined upon their reentry to school. If the assignment is not turned in or the student does not take the initiative to show me, the “A” becomes a “0.” I try to remind students at least once if they are missing work from an absence, but ultimately I believe it is their responsibility. These strategies are working well in my classroom, but I am always looking for ways to improve. I’d love to hear about methods that you use in your classroom.